Greenpeace Africa cried foul when former Environment and Sustainable Development Minister Bienvenu Liyota Ndjoli, awarded three illegal concessions in August 2015. The concessions were awarded to Chinese run SOMIFOR and FODECO entities in violation of the 2002 moratorium covering about 650 000 ha. In a reaction to Greenpeace’s August 2016 report, former Minister of Environment and Sustainable Development Robert Bopolo Bogeza cancelled the concession contracts granted by his predecessor in 2015. He also asserted that: “The public record of the Ministry of Environment and Sustainable Development does not contain any information of concessions to SOMIFOR and FODECO”. In September 2016, Mr. Robert Bopolo who had cancelled the above mentioned contracts by his predecessor also granted a concession in violation of the existing moratorium. The illegal contract was given to President Kabila’s adviser Faustin Lokinda Litalema. Member of Parliament Jacques Mokako Nzeke also received an approval letter for exploitation. Berlin), came barely three weeks after Norway’s Climate and Environment Minister Vidar Helgesen visited Kinshasa to finalise the disbursement of $200 million from CAFI to the Congolese government. A first instalment of $40 million Central African Forest Initiative (CAFI) fund was approved in October 2016. 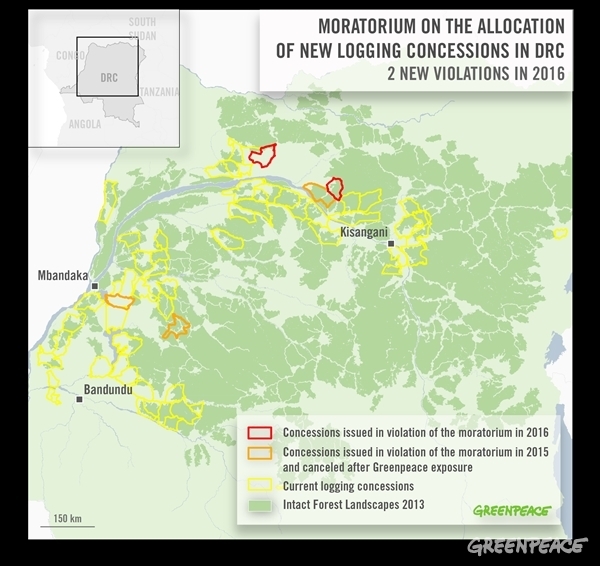 Congolese and CAFI authorities have remained indifferent to calls by Greenpeace Africa and other international NGOs for the establishment of an independent commission of inquiry. This would expose illegalities in the forest industry and appropriate actions taken against defaulters. CAFI donors are apparently satisfied with the cancellation of illegal titles granted by forestry officials. 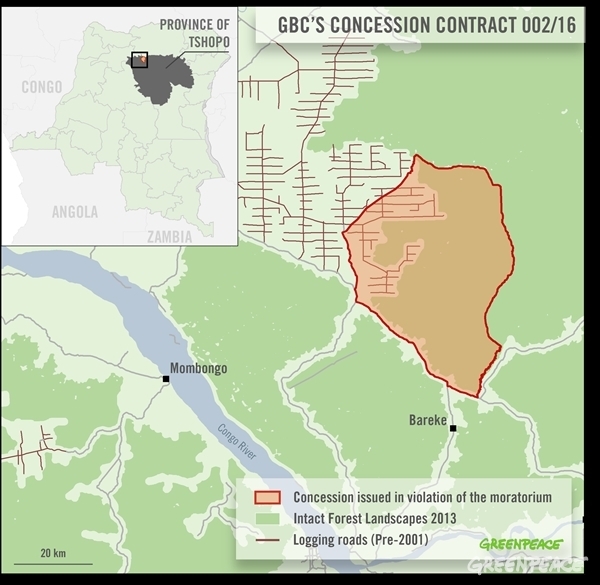 They are yet to approve a control mechanism to monitor and reduce the chaos that has existed for decades in the DRC forest industry. To ensure donor money is not wasted and in order to become effective in reaching its stated objectives, a suspension of the entire CAFI program is needed until a thorough revision of its overall approach including the adoption of adequate monitoring mechanisms and safeguards is carried out. Join the call for zero deforestation in the Congo Basin Forest!